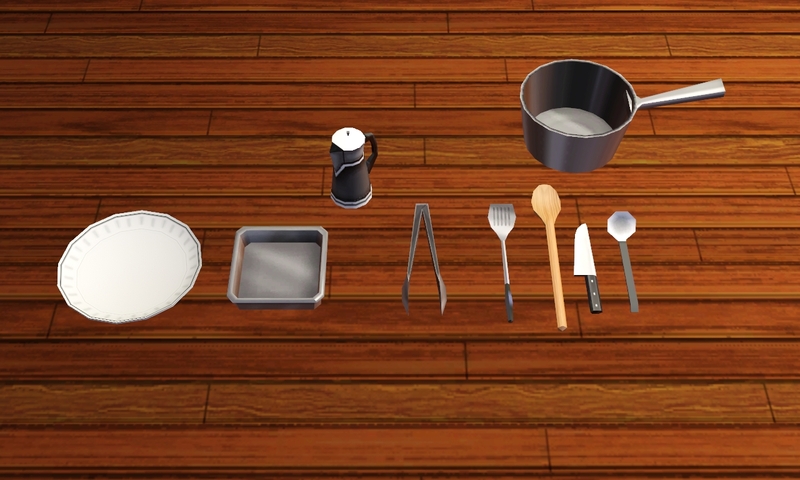 More objects for decoration in your sims kitchen! These are decorative objects. The zip file includes everything pictured above. They can be found in buymode: deco/misc.